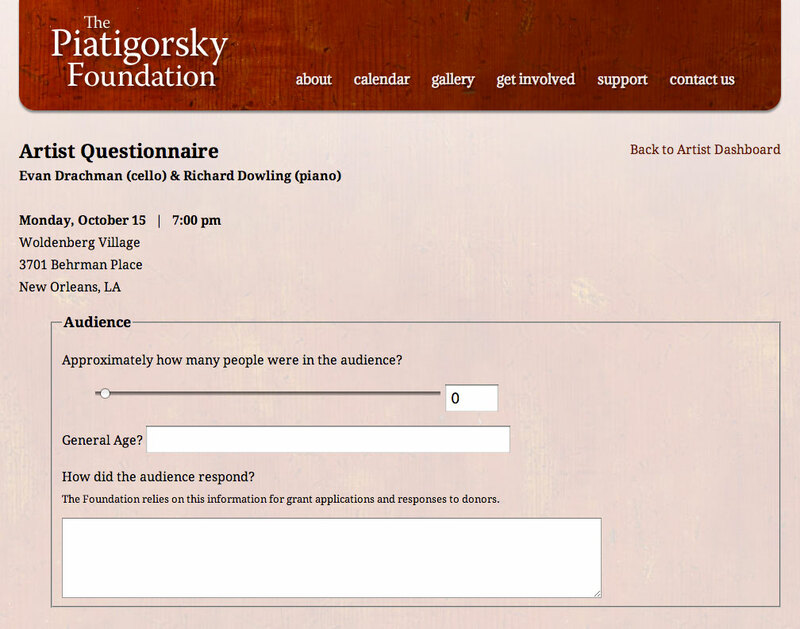 This project, for a performing arts non-profit, is the largest I've undertaken to date. 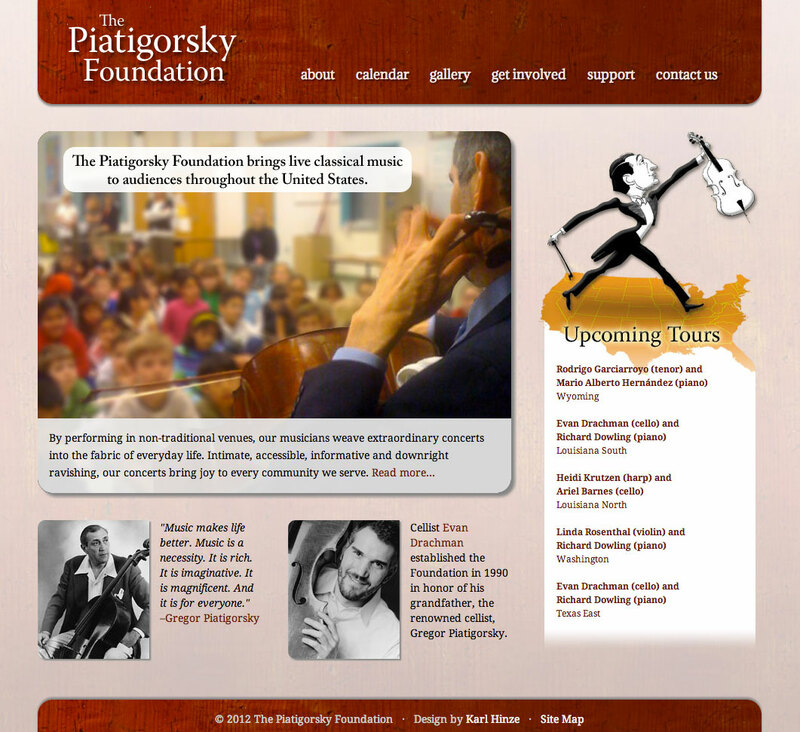 The Piatigorsky Foundation sends classical musicians to perform in underserved communities around the USA. 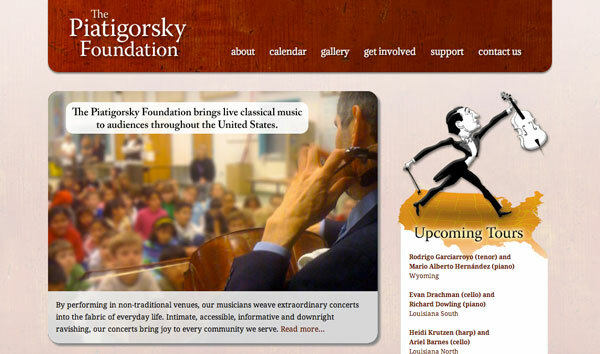 They needed a modern face for their organization to better represent their mission and aid in fundraising—their previous site hadn't been redesigned in 11 years. In addition to creating a new "look" for the site, I also designed and wrote a custom database integration to communicate with SalesForce, the foundation's database of choice. 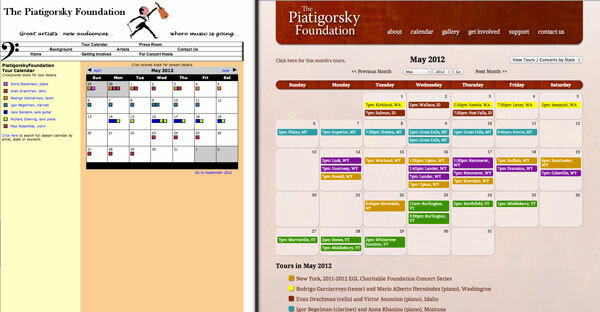 Now, rather than having to update calendar, tour, concert, and artist information in the database and the website, there is a script that runs every hour to query the database for changes and updates the static pages of the site accordingly. Whenever a performer is touring for the Piatigorsky Foundation, they complete a survey about each concert (used for grant reports and deciding which venues to return to in future seasons). 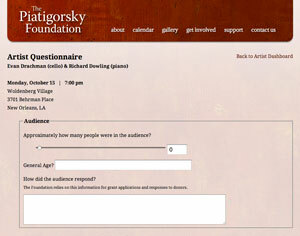 These reports have always been filled out on paper, but now I've created a place for artists to log in and complete surveys online.